Named after W. Griffith [1810-1845], a British physician and botanist. Shrub up to 5 m tall and 5 cm dbh. Branches spreading horizontally. Stipules ca. 10 mm long, leaf-like. Leaves opposite, simple, penni-veined, hairy. Flowers ca. 5 mm diameter, white-pink-purplish, with short corolla tube, placed in axillary bundles. Fruits ca. 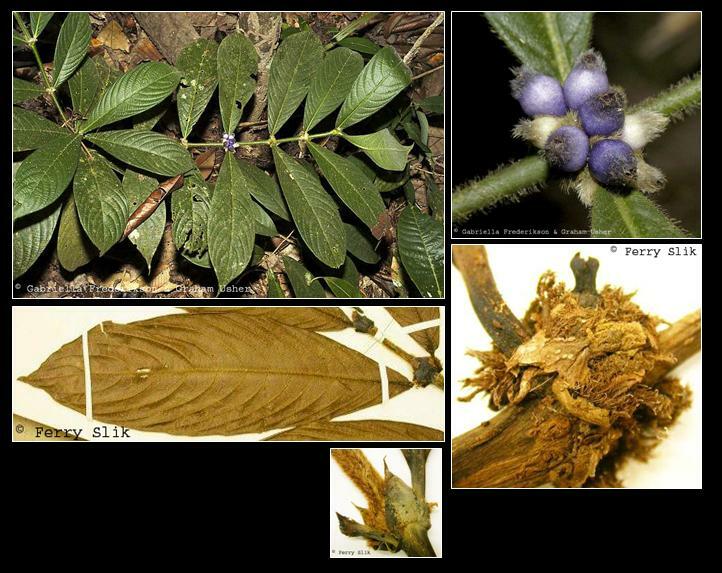 7 mm diameter, blue-purple, berries. In undisturbed mixed dipterocarp, keranga, swamp and sub-montane forests up to 1400 m altitude. On ridges and hillsides, but also common on alluvial sites and along rivers and streams. On sandy to clay soils. In secondary forests usually present as a pre-disturbance remnant.